Enjoy the best inspirational, motivational, positive, funny and famous quotes by Al Batt. Use words and picture quotations to push forward and inspire you keep going in life! 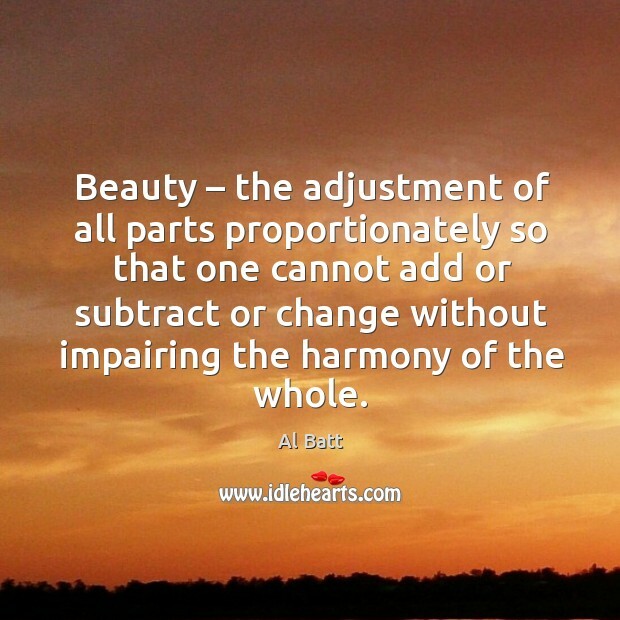 Beauty – the adjustment of all parts proportionately so that one cannot add or subtract or change without impairing the harmony of the whole. 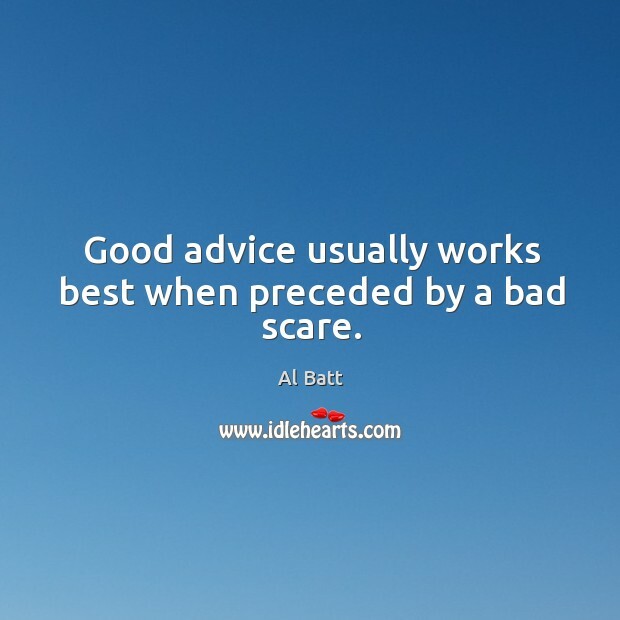 Good advice usually works best when preceded by a bad scare.